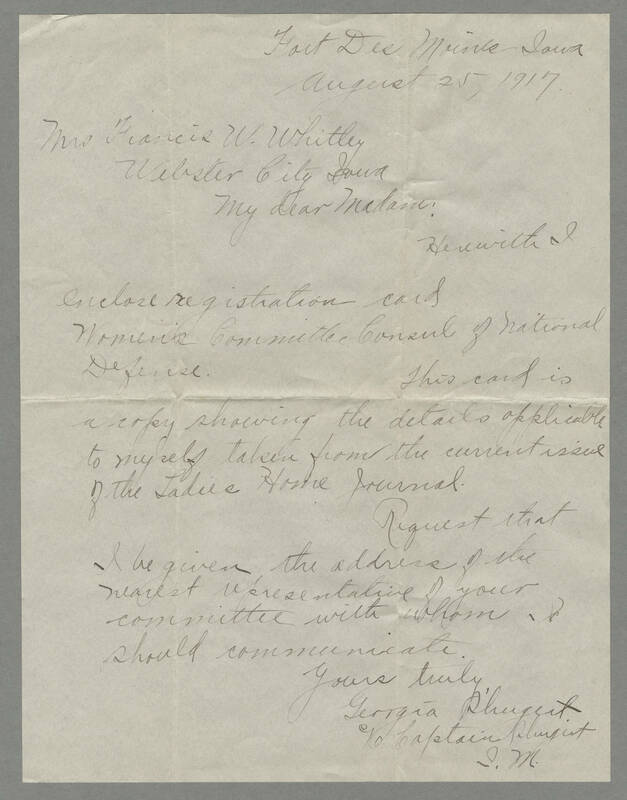 Fort Des Moines Iowa August 25, 1917 Mrs. Francis W. Whitley Webster City, Iowa My dear Madam, Herewith I enclose registration card Women's Committee Consul of National Defense. This card is a copy showing the details applicable to myself taken from the current issue of the Ladies Home Journal. Request that I be given the address of the nearest representative of your committee with whom I should communicate. Yours truly, Georgia Shugert c/o Captain Shugert I.M.